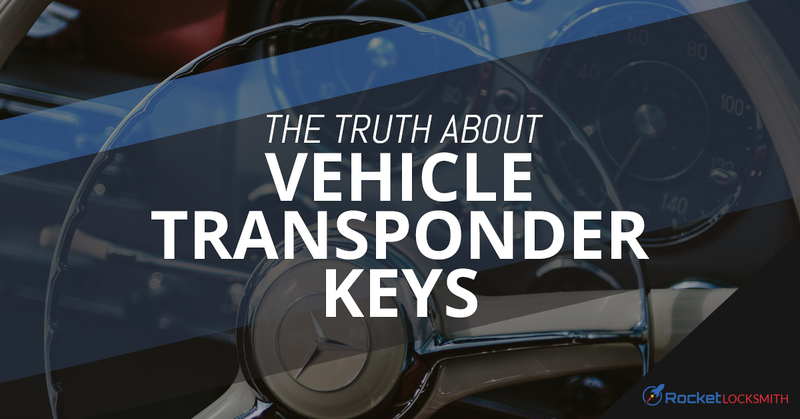 You know the basics of a transponder key system. You press a button, the lock disengages and allows you to open the door. The part you can’t see isn’t much more complex than that. When you click either the lock or unlock buttons on your key fob, a signal is sent to a receiver in your vehicle that tells your electronic lock system what to do. In terms of basic function, that’s all there is to it. However, in order to keep your car as secure as possible, there are some extra electronic security measures happening there as well. In order to ensure your transponder key doesn’t unlock every car in the parking lot, there is a distance limitation. On top of that, all electronic locking systems are encrypted so your key will only unlock your car—and vice versa, your car can only be unlocked by keys programmed to your car. Fortunately, this means that it’s harder for opportunistic thieves to just walk past and unlock every car in a lot. A key that breaks off in the lock is annoying enough, but a pretty easy repair. When it comes to fixing a dead or broken electronic key fob, the dealership will tell you that they are the only ones who can handle that repair. This is true to an extent. In order to ensure the security measures remain in place during an electronic key fob repair or replacement, you will need to take your vehicle to someone with programming capabilities. However, this isn’t limited to just car dealerships. Often, an auto locksmith has the same training and equipment to correctly handle repair or replacement of an electronic key fob—and this includes the electronic components, not just key cutting. This means you can generally search “locksmith near me” and find a trained auto locksmith who will not only repair your transponder key, but odds are good they will come to you to do it! However, you will want to be cautious of scammers, so see our previous blog about ways to know you’re working with a trusted, licensed locksmith. Don’t lose hours of your valuable free time waiting at the dealership to get your transponder key repaired or replaced. For trusted auto locksmith services near you in St. Louis, contact the Rocket Locksmith team today!